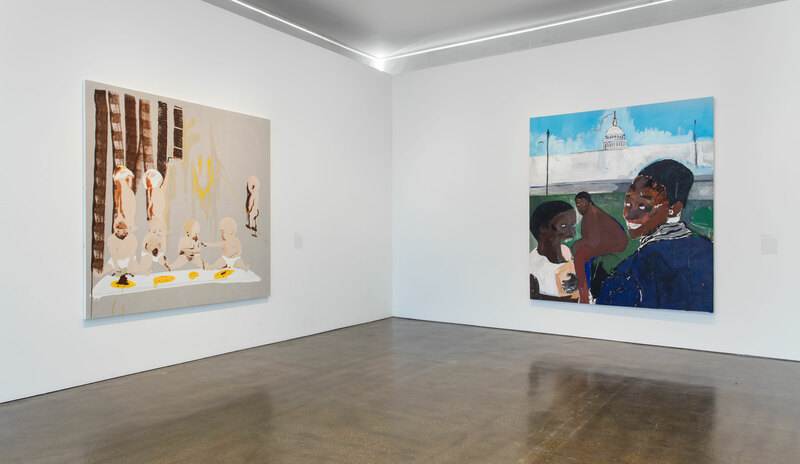 An exhibition highlighting recent acquisitions by Los Angeles-based artists Tala Madani, Max Hooper Schneider, and Henry Taylor. 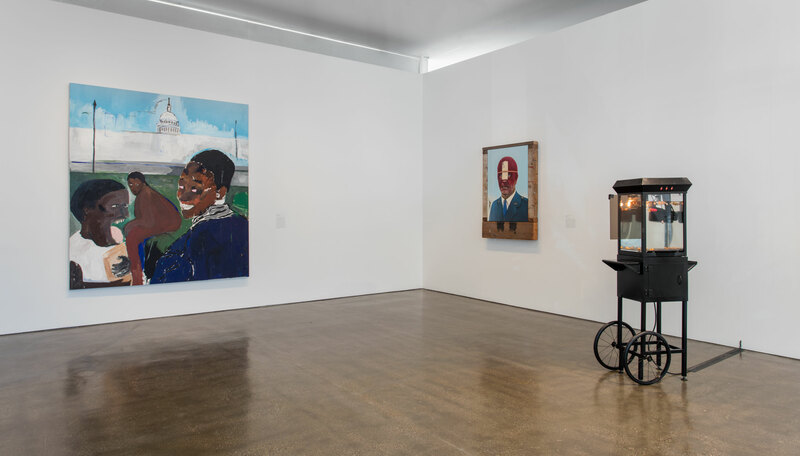 Three recent additions to the museum’s growing collection of contemporary art, including paintings by Henry Taylor (b. 1958, Ventura, CA) and Tala Madani (b. 1981, Tehran), focus on ambiguous groupings of figures. 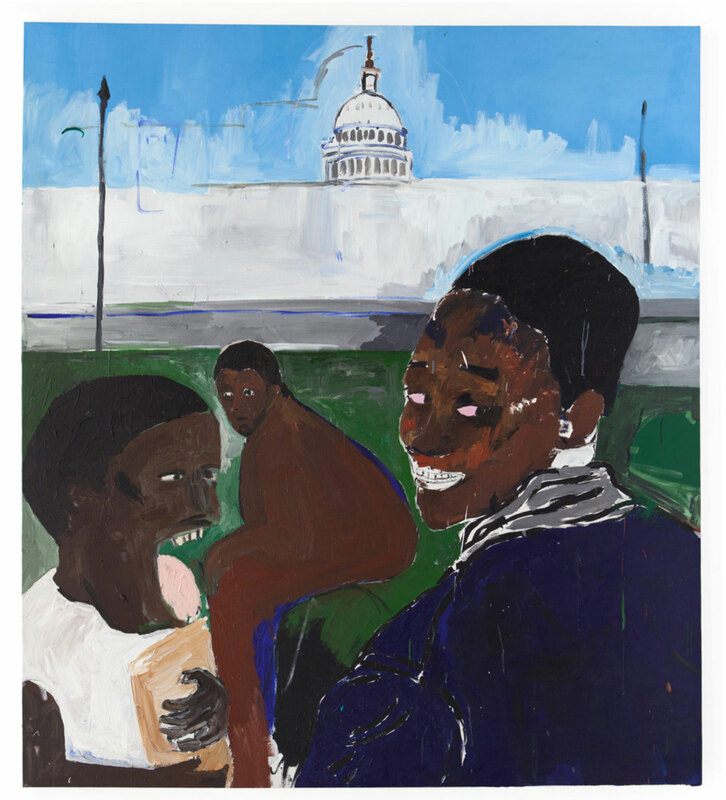 In Taylor’s striking composition, two African American figures look back at the viewer, smiling excessively, and the dome of the US Capitol building looms. Madani’s naked men play mischievously with an array of painted marks. Accompanying these is a sculpture by Max Hooper Schneider (b. 1982, Los Angeles), whose mix of repurposed materials, in this case an old-fashioned popcorn maker, becomes a terrarium for a swarm of living snails. Teeming, growing, and eventually dying, this living presence in the gallery underscores the unsettling nature of the paintings and leaves meaning an open question. 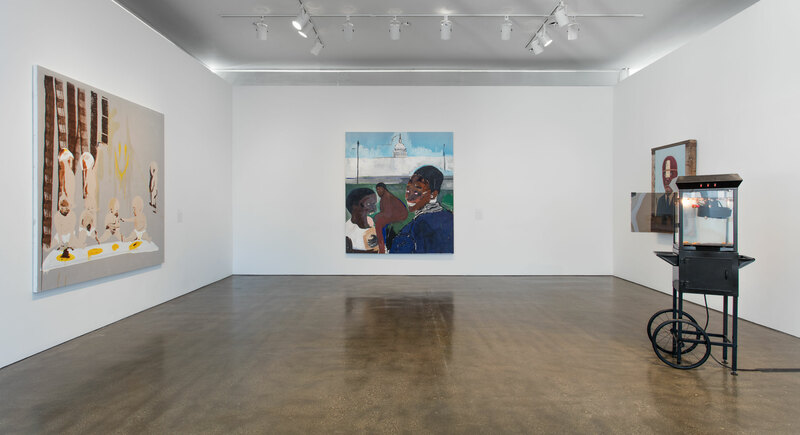 This exhibition is organized by Connie Butler, chief curator, with Emily Gonzalez-Jarrett, curatorial associate.